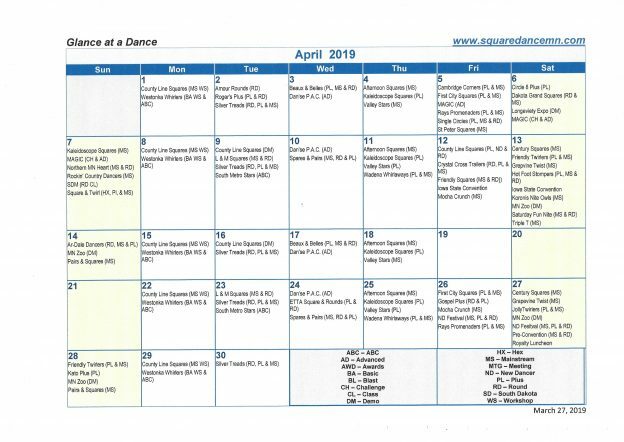 Calendar | Square Dance Minnesota, Inc. Viewing options “List,” “Month,” and “Day” are available when you click on the “View As” box in the upper right hand corner after you select Upcoming Events. You can include your dance information on the calendar. If you have the dances listed on a spreadsheet or other document send it to squaredancemn@aol.com. Otherwise use our Word fillable Event Listing form. If you have an event flier, send it also.